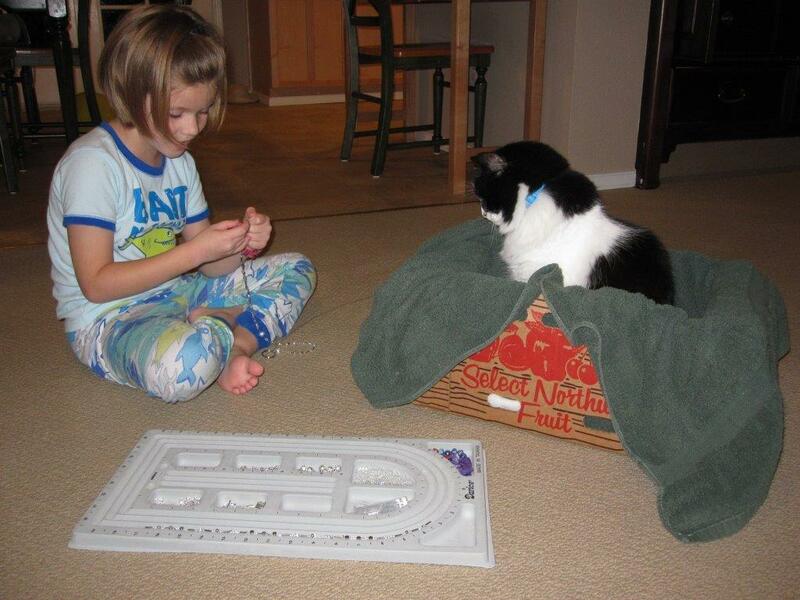 Beading helps with bonding too….Not Me Monday – meet Melissa! My friend Melissa shares her story of how she is raising two little entrepreneurs in her house. I love watching her kids and seeing their creations. They seem so proud of themselves with all they can accomplish. I also love that Melissa has found something surprising from this experience about herself. You’ll have to read on to learn just what that is. Everyone – Meet Melissa and her two super cute kids! Amy: From where did the idea of Blue Dolphin Beads come? Melissa: Blue Dolphin Beads was my idea. My daughter wanted to swim with dolphins when we visited Hawaii in February 2012, and it was a lot of money (close to $300) on top of the already expensive trip. 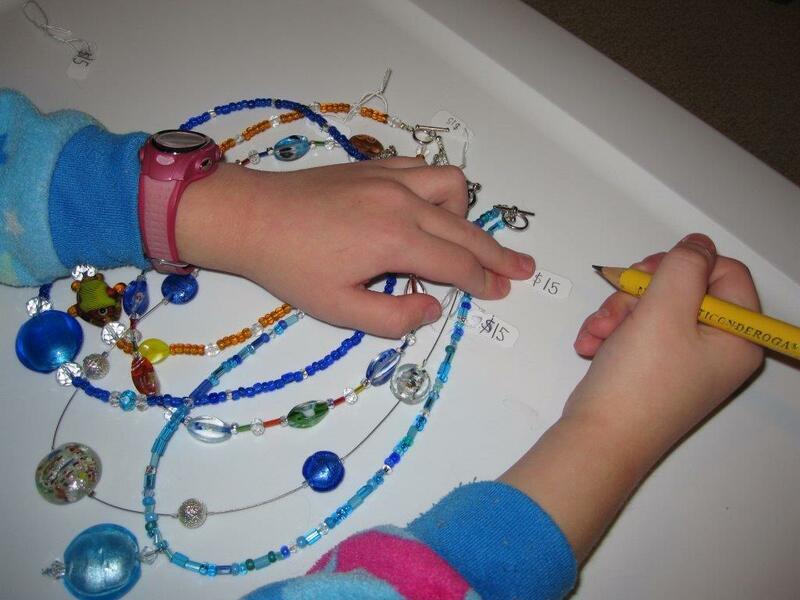 She, then 7, and I had just started beading the summer of 2011 and a couple friends saw our work and asked if we would make them necklaces to buy. 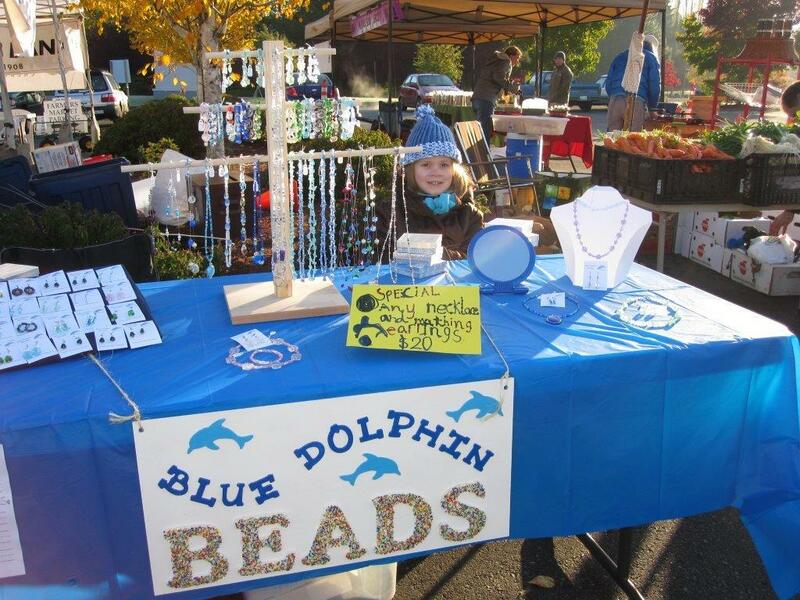 I realized this would be a fun way for her to earn money towards a dolphin swim and she agreed; Blue Dolphin Beads was born! A: How did you suggest the idea to your kids? M: See above. After a couple months, our then 4-year-old son wanted to get in on the action. So he started making jewelry and saving towards a dolphin swim for himself. I was pretty amazed at their fine motor skills and patience; beading has increased both even more. A: Are they excited to create the pieces? M: Yes! Money is a powerful motivator. I know they feel proud when they create something and are complimented on it, also. A: What do you have them do for the business besides making each item – e.g. – -handle money, staff the tables, advertising, etc.? M: We do handle money, and I let them count the change (great for math skills!). When there is a craft fair or the farmers market, we all take turns manning the table, though my daughter did more of that at first simply because a 4-year-old can only sit out in the cold and be charming for so long! My daughter is a really good salesperson, saying hi to people as they go by and asking people if they have questions. That is part her personality, and part because she is older, I am sure. We have a Facebook page and when the kids were actively trying to earn money for their dolphin swims, my daughter posted her creations about once a week to try and generate more business, and I would post photos of my son’s work. It helped! We have never done any paid advertising; most sales come from word of mouth and a few have come from Facebook. We have also had the opportunity to donate to several charity auctions, which I hope has made an impact on the kids, and we’ve donated some of our profits to our beloved marine science center. I want them to know it isn’t just about making money, and I think they appreciate that to some degree. A: Have you experienced any unexpected outcomes from doing this? M: I found I am good at making jewelry, also! The kids do all the patterning and stringing and I do the clasps or earring loops, so I got a lot of practice helping them. As time went on, I started making more jewelry for myself and as gifts and have even sold a few pieces. Another unexpected outcome is that making jewelry has been a bonding experience. 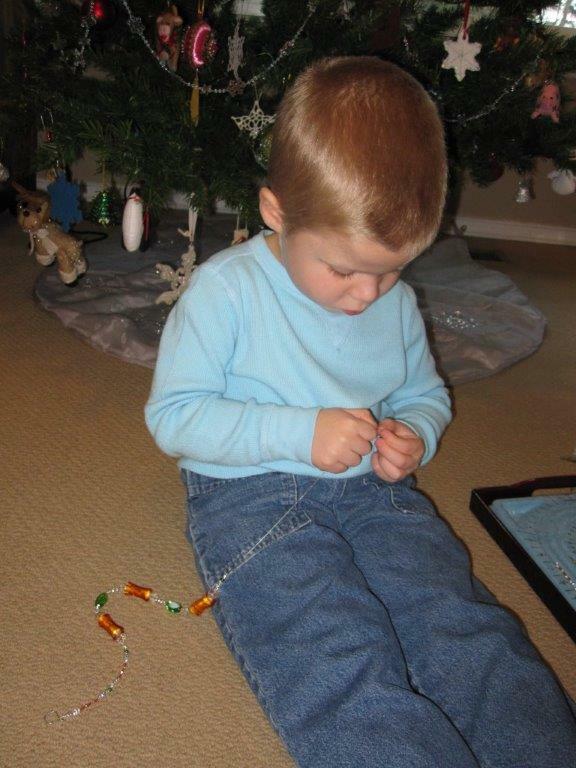 There was many a night when all three of us were spread out on the floor, stringing beads. And my husband built us a display tree and helped us set up/take down at the farmers market, so it has been a whole-family experience. Even the cat used to keep us company when we’d work (See the photo above; Niles the cat!) ; I have some really cute photos of that. I guess you could say that beading brought us together! I hope it is something we will continue to do for years to come and that the kids will look back fondly when they are grown up. Maybe they will teach their own kids how to bead. Have you ever started your kids on a business venture? What was your experience? I’d love to know about it! Categories: Just for fun, Not Me Monday | Tags: beading, Blue Dolphin Beads, little entrepreneurs, swimming with the dolphins | Permalink.